John Howell 's Genealogue: Betsy Cherry's Clock? "The company never issued a catalogue so its hard to know how many styles they made. 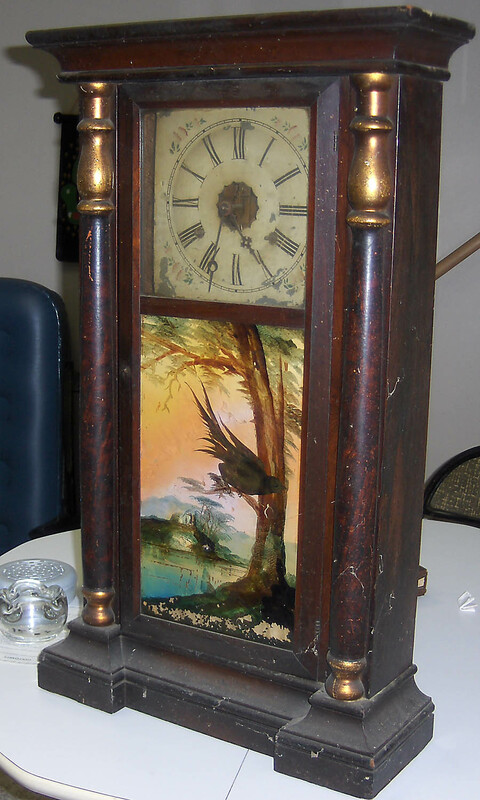 Most of their clocks were sold to other clock manufacturers, so to find one with the S.C. Spring label in the case is a wonderful 'find' indeed...the image on the reverse-painted lower door glass reflects the type of work that was popular in that day...the clock features faux marble columns with gilded sections."